Here's another book to add to your must-read pile. 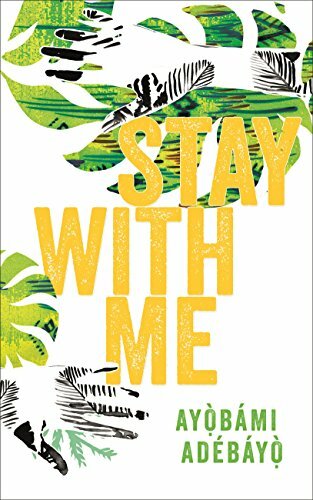 Nigerian author, Ayobami Adebayo's debut novel, Stay With Me - which was shortlisted for the 2013 Kwani? Manuscript prize, and will be published by Canongate in the UK next year - 2 March 2017 to be precise. Stay with Me will also be published by Kwani? (Kenya, October/November 2016) and Knopf (USA/Canada, Spring/Summer 2017). There's also a Swedish edition up in there (Pirat Forlaget). Unravelling against the social and political turbulence of 80s Nigeria, 'Stay With Me' sings with the voices, colours, joys and fears of its surroundings. Ayobami Adebayo weaves a devastating story of the fragility of married love, the undoing of family, the wretchedness of grief, and the all-consuming bonds of motherhood. It is a tale about our desperate attempts to save ourselves and those we love from heartbreak. If you want to read some of Ayobami Adebayo's work before the release of her debut novel, her short stories have appeared in a number of magazines and anthologies, including Gambit: Newer African Writing, African Writing Online, East Jasmine Review and Lawino Magazine to name some. Adebayo was also shortlisted for the Miles Morland Scholarship in 2014 and 2015, and is the fiction editor of Saraba Magazine.